Aurora recently joined the lab to take care of mouse colonies. We use mice as a research model of human brain cancer and have a variety of transgenic knockout strains carrying reporter and spontaneous brain tumor initiating genes. She is responsible for the maintenance of our rodent colonies and the genotyping of transgenic lines. Aurora has a BS degree in Biology from National University of Mexico and fifteen years of experience working in various research labs in the area of cell biology and neuroscience. 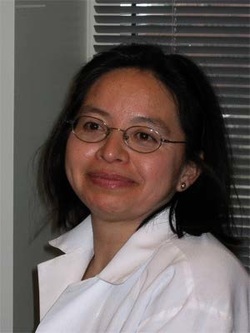 She has accumulated extensive experience in a variety of experimental techniques commonly used in cell biology studies as well as in the management and daily running of the lab. View a partial list of Mrs. Aurora Lopez-Rosas publications through the National Library of Medicine's PubMed online database.